I popped into Homesense recently (one of the best shops for homeware and stationery), and as soon as I stumbled across this weekly planner I knew I had to buy it. 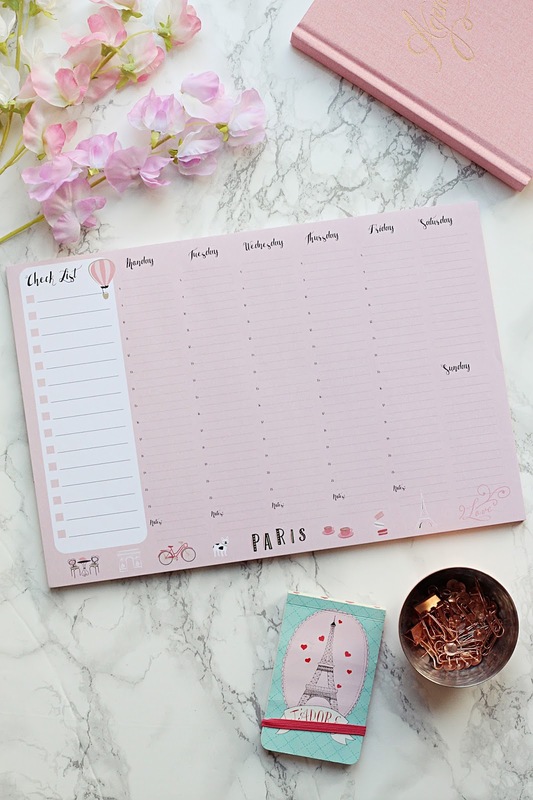 I've been after a new weekly planner for my desk for a while now, as whilst I use my diary to keep on top of things, it's nice to see the week planned whilst I'm working at my desk. What really drew me to this was the fact it also notes the time, so you can literally plan your week out, hour-by-hour. The checklist at the side is really handy too - and it was a total steal at £5.99. I'm hoping it'll make me a bit more organised! Okay, so can we just take a minute to appreciate how absolutely bloomin' STUNNING these are? I mean, who said hair stylers had to be boring, right? As soon as I laid eyes on these gorgeous hair stylers from Diva Pro Styling I fell in love. Their limited edition 'Lily Daze' print is a floral lover's dream and oh-so perfect for spring. I have been using these constantly since receiving them and oh my god - they're incredible. I had my doubts to begin with - having not previously heard of the brand - but as soon as I started using these I was hooked. 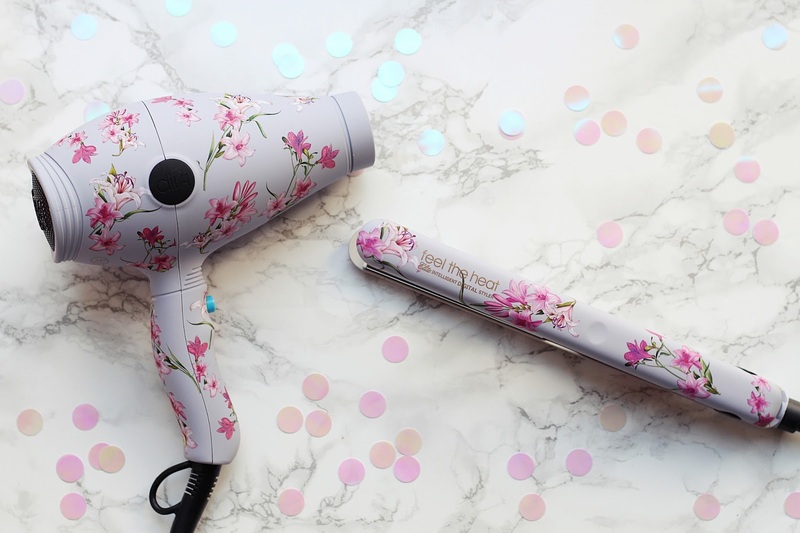 They are honestly some of the best electronic hair tools I've ever tried - the straighteners in particular blew me away - they definitely give even GHDs a run for their money. I love how super slim these straighteners are, and I think the hairdryer is the perfect size for travelling. Honestly, I'm so impressed with these - not just a pretty face after all! You know when a piece of jewellery comes along, and you just know you're going to be friends forever? That's how I felt when I received this stunning Lola Rose Compton bracelet. I love beaded bracelets at this time of year and particularly during the summer - I just think they look effortlessly cool go with every outfit. 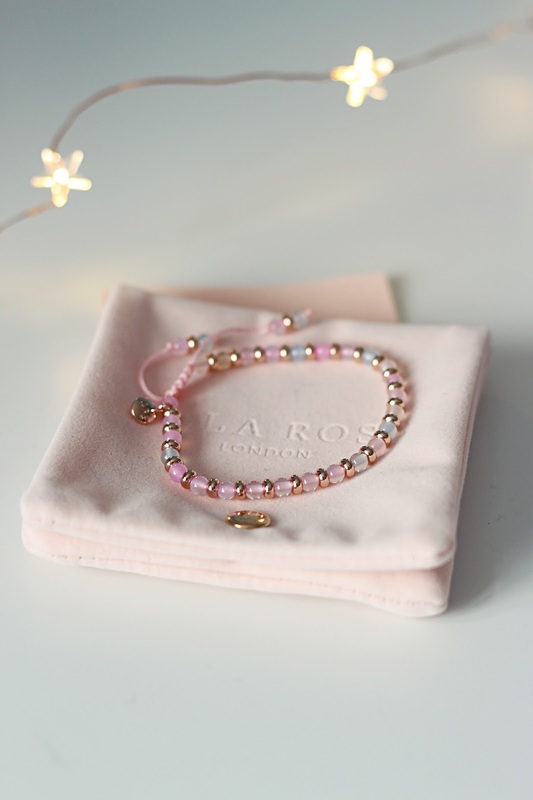 Lola Rose beaded bracelets are even more special because they're made from real gemstones - and pride themselves on being all about "everyday luxury", which I think totally sums the brand up. Wearing this bracelet daily always makes me feel that little bit luxurious, without having to splash the cash. I chose the Candy Mix Agate bracelet because it's just so me and features all the gorgeous pastel candy colours I love wearing at this time of year. It comes in a lovely velvet pouch along with a certificate of authenticity and I think it would make the perfect gift. There are loads of different designs available too, so you're spoilt for choice! Cotton candy is up there in my top five scents, so when I heard Body Fantasies (one of my fave body spray brands - see this post here) were bringing out a cotton candy scented addition, in their new 236ml bottles, I was so excited to see if it lived up to my cotton candy-filled expectations. I wasn't disappointed. This body spray smells SO good: super sweet, and so much like candy floss. I'm all about those sickly sweet fragrances - think Lush's Snow Fairy and Rock Star, or Yankee Candle's cupcake-scented offerings. If you're a fan of sweet fragrances, you NEED this in your life. 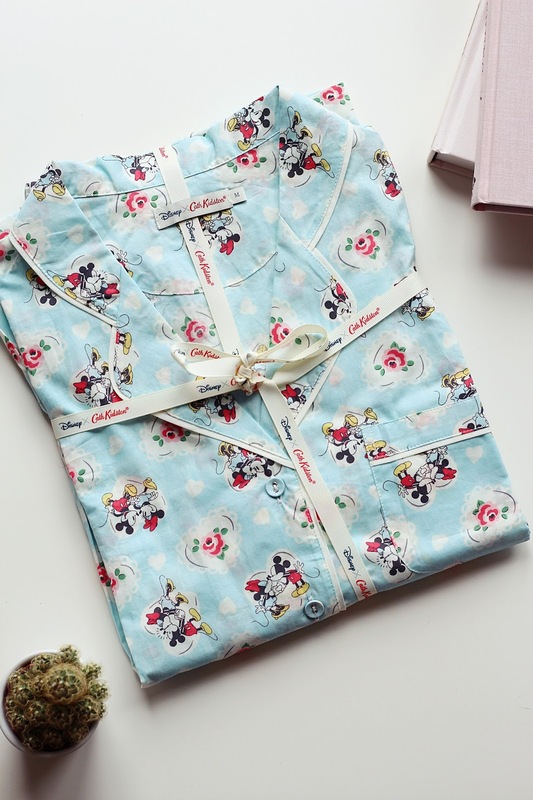 Now, last but most definitely not least, say hello to my beloved Cath Kidston x Disney pyjamas. I have been living in these since they launched a few months ago but I realised I never actually shared them with you guys! I've been obsessed with each of Cath Kidston's Disney launches so far, and I'm super excited for the next one, 101 Dalmations, which is coming in May. You just can't beat one of your all-time favourite brands teaming up with Disney, can you? I can't wait for the next launch! What have you been loving lately? Let me know!